Main news of the week was of course the collection of short stories I released as Pure Escapism: Volume One. I can’t say as how it has taken off like a house of fire, but it is early days and there hasn’t been much in the way of advertising its existence yet. On the positive side I have had a couple of nice things said about it, which was very encouraging. Work for the second volume is well underway – perhaps not as quickly as I had hoped, but certainly on schedule for a release in June. The companion for the Eleventh Doctor in the next seasons of Doctor Who starting next year has been announced and it is…drumroll…Karen Gillian. Who? I’d never heard of her, but she is a relative newcomer to the game, so that is hardly surprising. Steven Moffat spoke highly of her in the BBC press release announcing her appointment though. 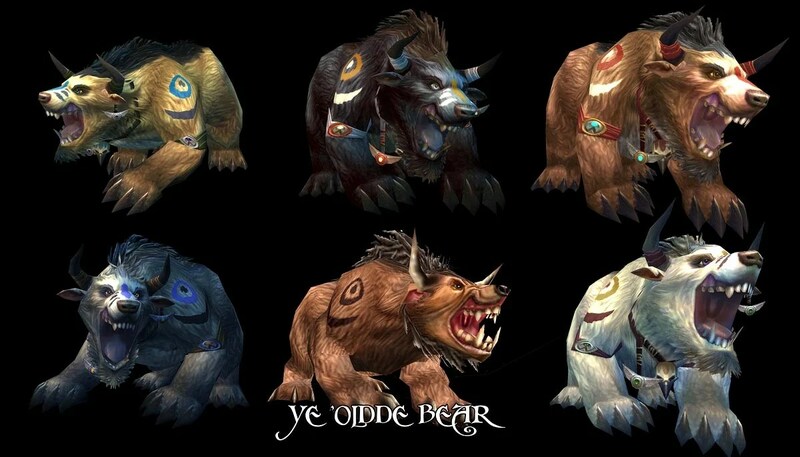 An update on yesterdays post – the Night Elf druid bear form skins are now available for view. All I can say is once more I’m glad I’m a Tauren and not an elf. Cat forms are coming next week – look forward to seeing how much they have improved the Tauren cat form. One of the things I do when I’m not writing is play World of Warcraft. Not as much as I used to, but still enough. I am Horde – always have been, always will. My main is a Tauren Druid, which shouldn’t come as a surprise given how often Minotaurs crop up in my writing – though that predates playing WOW by many years. I have been a Feral Druid since the start, which is a kind of druid that shapeshifts into a bear or a big cat to fight. The problem is that since game release the models have never changed – every druid, no matter their level or equipment, looks the same. Finally, after four years of waiting, that is about to change. New skins are coming and the previews of the Tauren Bear Form have been released, with cat form to come later. My Tauren is white skinned (and you may have run into a couple of those in Pure Escapism…) and, according to what we know so far, I should end up with the new white skinned polar bear form, and should also end up as a white lion. All very exciting. Came across the following article at Strange Horizons, an online SF magazine, about what they don’t want to see more of – basically story ideas they have seen submitted too often. I am fairly certain I’m not guilty of any of them, at least not recently. # Scientist uses himself or herself as test subject. # Evil unethical doctor performs medical experiments on unsuspecting patient. # In the future, criminals are punished much more harshly than they are today. 1. In the future, the punishment always fits the crime. 2. The author is apparently unaware of the American constitutional amendment prohibiting cruel and unusual punishment, and so postulates that in the future, American punishment will be extra-cruel in some unusual way. # White protagonist is given wise and mystical advice by Holy Simple Native Folk. Twenty weeks into the year already – where does time go? News of the week is that I’ve finally finished the last of the four short stories I have been editing, at least well enough for the purposes I want it for. Hopefully sometime during the day the four of them will be available on the site, in one form or another. Still no closer to working out the conundrum from the previous post – still requires more thinking I guess.